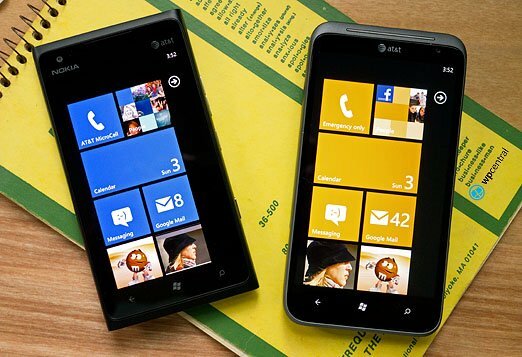 I feel obligated to offer this from the onset: The HTC Titan II and Nokia Lumia 900 are both excellent Windows Phones. There's really not a bad choice between the two. One may suit your tastes better than the other but that doesn't make the one not chosen a bad Windows Phone. Having gotten that out of the way, when the two phones hit the market I found the Titan II more appealing. The larger screen and better camera gave the phone an edge over the Lumia 900. Both screens are high quality but for me, the Titan II appeared more natural and it was easier to view outdoors. But that initial preference was based on hardware alone. After a few months on the market, a feature beyond the nuts and bolts of these two Windows Phones began to take shape making things a little more difficult to choose between the two. That feature is manufacture support. Shortly after the Lumia 900 release Nokia set an example of product-support that should be the model for others to follow. There was a bug that dropped data connectivity on a few devices and instead of white washing things, Nokia recognized the problem and distributed a fix within a week of the Lumia 900's release. On top of quickly responding to the problem, Nokia compensated customers for their trouble with a $100 credit. 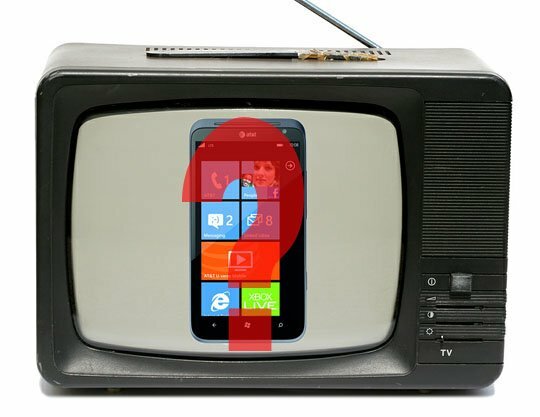 From there, Nokia has offered exclusive apps for the Lumia line and undertook a massive media campaign that includes the Smartphone Beta Test commercials and product placement in a bazillion television shows. These efforts don't necessarily make the Lumia 900 a better phone but it does make the Lumia series a bit more appealing and may create a balance for the Lumia 900's shortcomings. Consumers may tolerate a marginal camera if they have a handful of exclusive apps to enjoy. Some people complain about all the attention and coverage the Nokia Lumia line receives. It's not that anyone is playing favorites but rather it's Nokia promoting their Windows Phone lineup to the front of the pack. Our site will gladly report on promotional events from HTC, Samsung or any other Windows Phone manufacturer but other companies aren't putting out the same effort as Nokia. These efforts have placed the Lumia 900 as the unofficial flag bearer for Windows Phone. A position that any other Windows Phone manufacturer could have easily attained or shared had they put forth a similar effort. I can not think of a single HTC Titan II commercial, product placement or exclusive content from third party developers. HTC Locations had potential but then HTC started charging for the navigation service which took the winds out of its sails. HTC's focus is clearly with Android and that's fine but we can't help but feel HTC has missed a great opportunity with Windows Phones. How much more appealing would the Titan II have been if it had Beats Audio or an exclusive version of Angry Birds Space (or any other popular game)? How much better would sales be if the Titan II was featured in a commercial or used in a television episode or music video? The Titan II is a quality Windows Phone but in this competitive industry, it can't sell itself. So which is the better Windows Phone? On hardware alone I still have to give the nod to the HTC Titan II. The camera is better and I like the larger screen. However, taking product support into consideration and the Lumia 900 gets the endorsement. There is plenty of room for improvement on the Lumia 900 (better camera, annoying rattle with the vibrate alert, etc.) but the amount of exposure, exclusive apps, and support Nokia brings to the table makes the Lumia 900 a more attractive option. HTC may end up surprising us with a fantastic, ground breaking, jaw dropping Windows Phone 8 device that is supported and marketed at the level Nokia has set with the Lumia line. Then again, Samsung may step up and do the same. I still have my reservations on the Lumia 900 hardware but knowing the Microsoft's OS is backed by a company that has taken an "all in" approach to Windows Phone seems to make up for things.